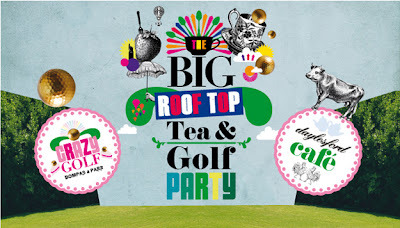 This summer Selfridges London has reopened its legendary roof to launch The Big Rooftop Tea & Golf Party, as part of the Big British Bang - our all-encompassing creative homage to all things British. Opening on 31 May and running throughout the summer until 2 September, The Big Rooftop Tea & Golf Party transforms the roof into a destination for a round of a crazy golf like no other and a 100% organic tea-shop for the highest afternoon tea on Oxford Street. The 100% organic Daylesford Cafe will serve a traditional British afternoon tea, with a twist. 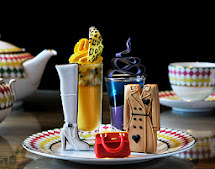 Open from 12 noon until 10pm each day, the Selfridges roof will be the destination for a royal lunch, a proper afternoon tea and summer evening drinks and dinner, all six stories above London’s busiest shopping street. Tables are allocated on a first come, first served basis - bookings are not available. Find out more and see the mouth-watering menu here. Watch our tour of the roof with Bompas & Parr and Jamie Mitchell, CEO of Daylesford, to find out more about this beautifully British adventure.